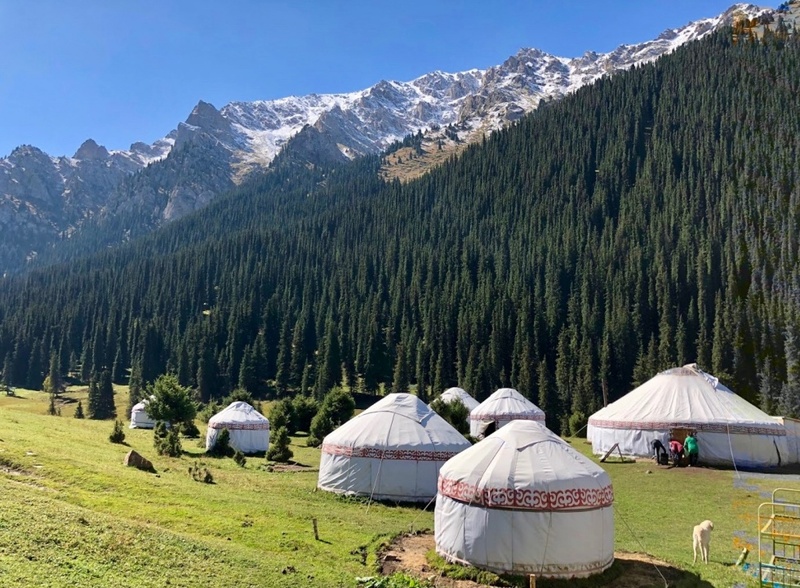 Yurts in Kyrgyz Mountains. © Chris Andrew. 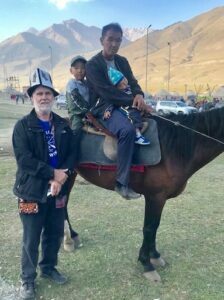 Fred was leading a delegation to Uzbekistan in August this year when he learned of the World Nomad Games taking place the following week in next-door Kyrgyzstan. Sharon had lived in Kyrgyzstan for two years back in the 1990’s, with Fred as a frequent visitor. 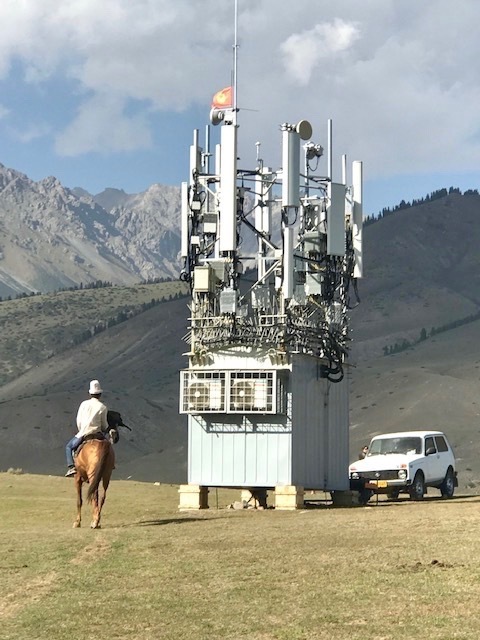 Both fell in love with this small, poor, mountainous country with more horses that people. 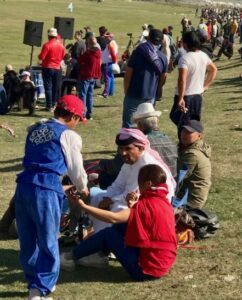 It was an easy decision to add a week to his trip to take in those games embracing and extolling the nomadic culture of Central Asia. As Fred researched the games, it quickly became clear that this might be the largest sporting event in the world that no one in America had ever heard of. 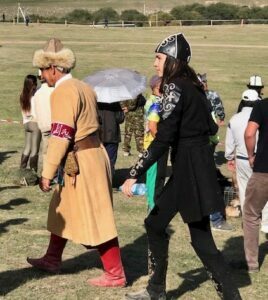 It was to be, in fact, the third World Nomad Games, the first and second taking place on a smaller scale in 2014 and 2016 on the shores of Lake Issyl Kul in northeastern Kyrgyzstan. The venue was not chosen by chance. In addition to being a mountainous area with much nomadic culture still in existence, the lake shore itself is filled with resorts and hotels dating back to the days when it was a popular vacation destination for citizens across the Soviet Union. It turned out that this third running of the games involved 3000 athletes from 82 different countries playing 37 different sports, all the sports more or less having some roots in nomadic cultures. 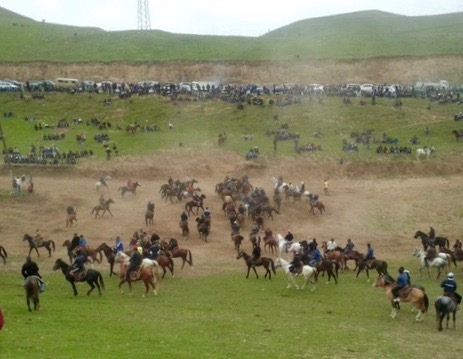 There were 17 different types of wrestling, including wrestling on horseback. There were five similar board games, seven different types of archery, including archery on a galloping horse. There was hunting with Golden Eagles, hunting with hawks, and hunting with falcons…as well as dog racing. Speaking of horses, there were eight different types of horse racing, including a 50-mile endurance race, as well as shorter distances with different types of horses. The most popular sport, however, in terms of the number of thousands of people watching from a huge stadium with instant replay and aerial cameras was Kok Boru or “Goat Pulling”. “Old Fashioned” Kok Baru –Chaos. © Fred Lundahl. In this sport–played from Mongolia throughout Central Asia to Afghanistan and Iran–teams of horsemen struggle to haul a dead goat carcass down a long field into a goal while the other team tries to stop them and pull the goat carcass away from their competitors. 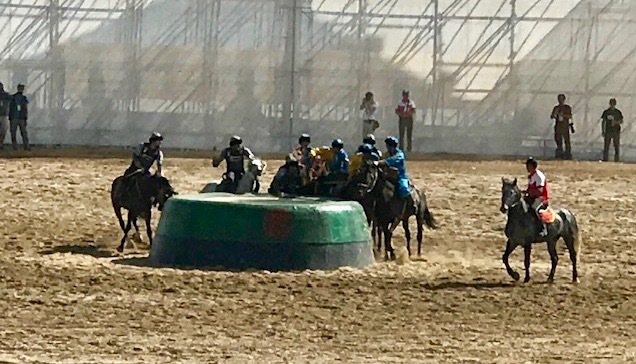 It is a rough sport in which the horses and riders block each other, and spills are common. Loud music and instant replays make watching the sport a lot like watching any major league football match in America…except for the dead goat. … and the much-tenderized dead goat is eaten at the end of the day. The most amazing discovery when Fred got there was the presence of a number of Americans playing the sports. The large Peace Corps contingent in Kyrgyzstan contributed archers for the competition. The Big Surprise! A U.S. Kok Baru Team. © Fred Lundahl. There was even a Kok Boru team from America. They were not very good at the strange sport, but were enthusiastic and good humored. They were having a good time, and so was the audience watching them, who cheered at their every effort. They were a bunch of cowboys from Jackson Hole, Wyoming. They had become interested in the sport after finding it on the internet and deciding it would be fun to play. 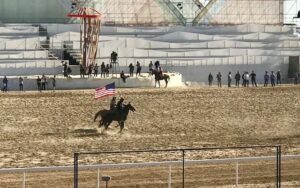 Interestingly, the foreign teams do not bring their own horses to the games. Instead there is a “horse lottery” in which participants draw lots to borrow a horse from a large pool of horses trained in the individual sport. The visitors then have a week or so before the games to make friends with their loaned horse and learn to control it. 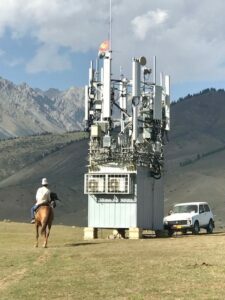 The hardest thing for the Americans was to get used to controlling the horse by Kyrgyz-language voice commands rather than by the body commands they use in the US. Our U.S team regularly lost every match in this, their second participation in the games. Still, one other team did even worse..France sent a team to play Kok Boru for the first time. 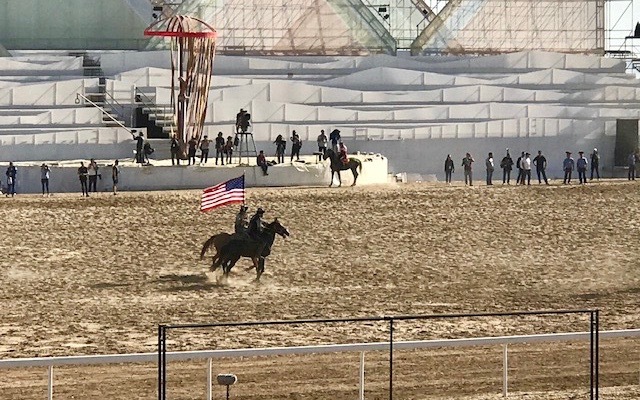 Five different presidents from Turkic and nomadic culture countries attended this nomad games, while the last time the only celebrity had been the actor Steven Segal. The world press also paid a lot of attention to this event, with the New York Times and many other press outlets covering the festivities. The most widely covered sport was Kok Boru, of course. Kyrgyzstan defeated its neighbor, Uzbekistan, by 32 to 9 in the world championship which was televised across half the world. Fascinating! So glad you witnessed these games and we were able to learn about them. There is a large Kyrgys community here in Arlington. Perhaps there will be games in the Shenandoah. Thank you so much! I always enjoy your narratives. 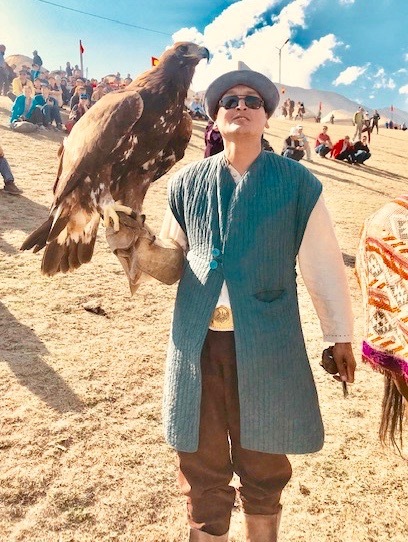 I saw a game of Buz-Kazhi in Mongolia once…. Very exciting! Also nice to learn a little more about Kyrghyzstan. Wild. Must have been fun for you both. Where’s the book, Fred…..at this point there should be a whole series on “The Adventures of Captain Fred”…… with photos!